GreenMedInfo: How Your Constitutional Right to Privacy Just Became a "
© Friday, August 31st 2018 GreenMedInfo LLC. This work is reproduced and distributed with the permission of GreenMedInfo LLC. Want to learn more from GreenMedInfo? Sign up for the newsletter here http://www.greenmedinfo.com/greenmed/newsletter. Sometimes, trusting the wrong people can hurt. Betrayal is one of the worst feelings. Especially when it comes to those who are supposed to be protecting you and your family's rights. But having seen how it was positioned exactly polar opposite of this report from K.T. Weaver - who lives in Naperville and has been reporting independently on “smart” meter harm for several years - I needed to figure out just what the hell is going on. The title of K.T. 's article is “Federal Court Rules against Consumers on Smart Meters and Privacy Rights.” So, why are the reports so different? My "aha!" moment on EFF came when, in corresponding with K.T., he sent me this Brasscheck interview with Yasha Levine, a respected truth-teller and author of Surveillance Valley. 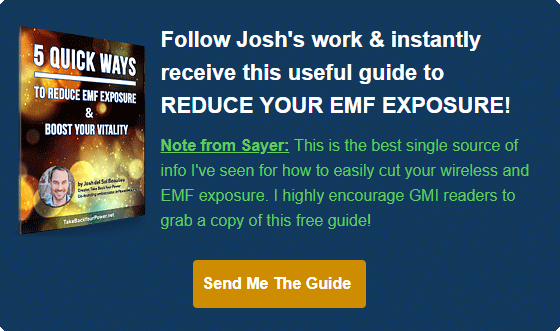 I have been following some of Yasha's work for several years with great interest. 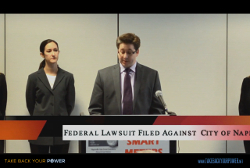 Before we get into examining Yasha’s claim that the EFF is a giant piece of astroturf, let's dive straight into the facts of the recent court ruling on “smart” meters and privacy. This development has everything to do with our basic human rights, how legal strategies are being implemented to work against the people, and whom we can and cannot trust when seeking justice. On August 16, 2018, your 4th Amendment right to privacy in your home just became a "privilege"
K.T. Weaver has a multi-year history of independently reporting the facts about “smart” meters on his website SmartGridAwareness.org. As such, we will refer primarily to his posted research and to first-hand quotes from the actual case. 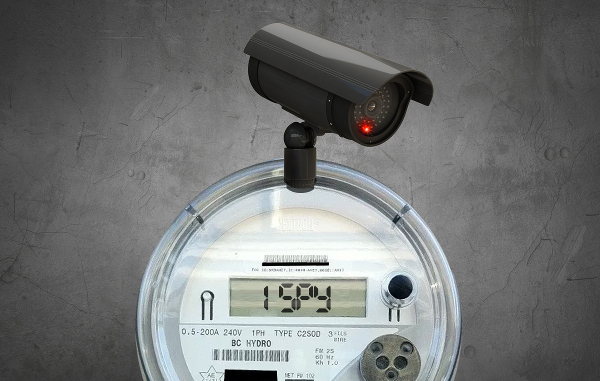 To start with, in 2015 a Naperville District Court had ruled that utility customers who accept a “smart” meter are deemed to have consented to privacy violations as recognized in the 4th Amendment to the Constitution. Since most utilities are extorting their own customers who do not want a “smart” meter on their home, this ruling is baseless and corrupt. Mark this as flag #1, for those of you wondering why we are not getting justice in courts. Now, on August 16, 2018, this Federal Appeals Court ruling has conceded that with “smart” meters, occupants are being subjected to a government search every 15 minutes - without their voluntary consent. But here's where it gets even more maddening. Rather than ruling against utilities right then and there, the Federal Appeals Court blatantly took direction from industry lawyers', who requested that it be determined whether the government searches are legally "reasonable". Taking the cue, the Federal Appeals Court in Naperville, Illinois assumed an initial position of advocating for the government, stating that "the government’s interest in smart meters is significant." This perspective is patently false. Bills go up, energy usage is not reduced, and grids are made vulnerable to hacking. Those pushing “smart” meters have let it slip over and over that the purpose of “smart” meters is to collect information so invasive and granular in nature it will reap billions. And in the eyes of a senior NARUC official, “smart” meter data will “be worth a lot more than the commodity that’s being consumed to generate the data” – electricity – which is a $2.2 trillion annual enterprise. The house fires (including fatalities), health damage (from EMF and dirty electricity), and security risk to all of us are seen as just a cost of doing the data-harvesting business. And the inexplicable billing increases & “time-of-use” schemes are most definitely seen as an added benefit. [P]rivacy interest must be weighed against the government’s interest in the data collection. Your constitutional rights are now legally being weighed against the desires of the government. This, right here, is a marker for where your rights have officially, legally become recognized as privileges. Now you see the game that courts and industry are playing together. 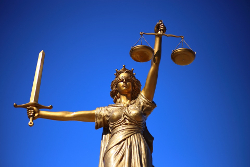 Setting legal precedents and creating “the new normal”. It’s just business. 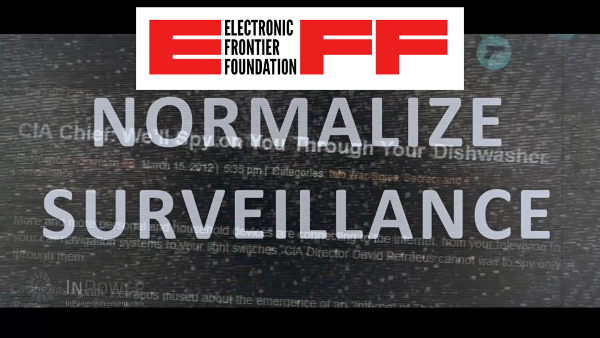 So, back to Electronic Frontier Foundation. What are they doing to protect our privacy? As Yasha Levine explains, EFF does not get involved when it comes to invasive corporate practices – only government practices. Seriously? 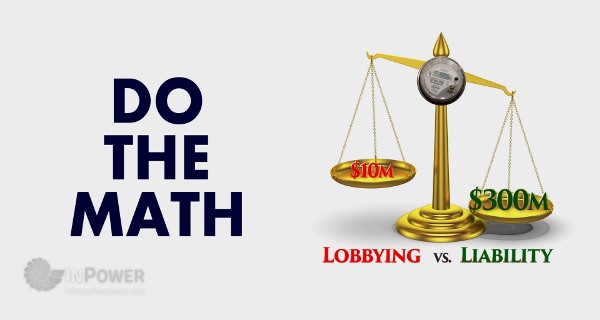 In a time when industry own lobbyists brazenly swing through the revolving federal-agency door? When it is acknowledged by all who are paying attention that we now live under a de facto corporate rule? EFF really thinks theirs is an effective position? Apparently, they do. But sadly, their aims are much different than one would hope. One hundred eighty degrees different, as we shall see. 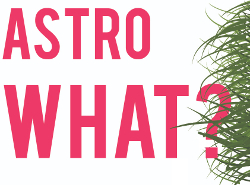 An “astroturf” group is an attempt to fool the people by big corporations or political groups, by posing as grassroots movements to promote their own profit and power-seeking agendas. For more, see this TED Talk by former CBS reporter Sharyl Attkisson. Over the past years, EFF has taken millions in funds from Google and Facebook via straight donations and controversial court payouts that many see as under-the-radar contributions. Hell, Google co-founder Sergey Brin’s foundation gave EFF at least $1.2 million. But that’s what EFF is all about: it’s a Silicon Valley corporate front group, no different than the rest. The only thing unique about it is how successful it’s been in positioning itself as a defender of the people—so successful, in fact, that even the people who work for it believe it. The fact that EFF has been able to pull it off of for so long shows the kind of immense power that Silicon Valley wields over our political culture. When we think about technology and the Internet, there’s no left or right. There’s just Google and Facebook. Now I began to see why EFF never returned my emails before or after my film Take Back Your Power was released. Now I see why they have never got involved in the “smart” meter conversation in any tangible way... while hundreds of thousands have been trying to preserve their right to not be surveiled and irradiated in their own home through harmful metering technology. Where they could have played a leading role, EFF effectively stayed silent. The reason? I suppose it's that the EFF hasn't had such a prime opportunity to normalize corporate surveillance via “smart” meters – until now. The recent events in the Naperville Federal Appeals Court have illustrated a key tactic: the appearance of justice. The appearance of a hearing, proceeding or case to determine what is right. And the appearance of agencies working in our interest. Maybe you have experienced it at your city hall. Your gut told you they already made up their minds. Your experience told you that you were right. Another tactic used by a corporatized court system is to simply decide they won't hear a matter... to not even have an appearance at all. Like the recent tossing out of a EMF-related class-action lawsuit in Quebec. And before that, “smart” meter class actions in BC, California, and Florida. 1. Former groundskeeper Dewayne Johnson's jury-case win against Monsanto (now Bayer) for $289 million in compensation, as the jury found that glyphosate caused his terminal cancer. It has yet to be seen if Bayer will be made to pay, as they are of course appealing the ruling. In the week following the ruling, Bayer's stock value dropped by about $18 billion. If this case sticks, it could open the floodgates to similar action. However, a win against the GMO monolith does not automatically set up a legal end to other such agendas such as vaccination harm, 5G, “smart” meters, geoengineering, water fluoridation et al. 2. What's coming to light now is a pathway to understand why such legal victories have been so few and far between. We first need to go whistleblowers within the legal profession who have dedicated their live work to expose American court corruption. See this over of “The Fraternity: Lawyers and Judges in Collusion”, written by retired Justice John F. Molloy. Another enlightening read is the free e-book "Woe Unto Your Lawyers", written in 1939, by Fred Rodell, Professor of Law at Yale University. With such insight, it appears that deep-running systemic legal corruption is not a new thing. I want to be clear that we are not anti-lawyer. There are many lawyers who are well-intentioned and seek to do to the right thing, and are in fact helping to turn the tide by even winning the occasional big case. But I want to be equally clear that systemic corruption must be rooted out and power return to the people if we are to see significant positive change. 3. If the "door" of traditional methodologies for justice is in fact closing, another may very well be opening. In the InPower episode #1 video, entitled "A Mass Action of Liability", my co-founding partner Cal Washington presents a deeper understanding that has wide-sweeping implications for all who are seeking true justice. "They’ve got you playing checkers, but they’re playing chess," states Washington, who also speaks on a myriad of topics including how senior government officials resigned; how jurisdictions actually function (think boxes within boxes); and how we can actually up-level and play the game of commerce effectively and obtain justice. Since the paradigm-shift offered by this information is perceived as threatening to some system gate-keepers, it will not be immediately accepted universally. 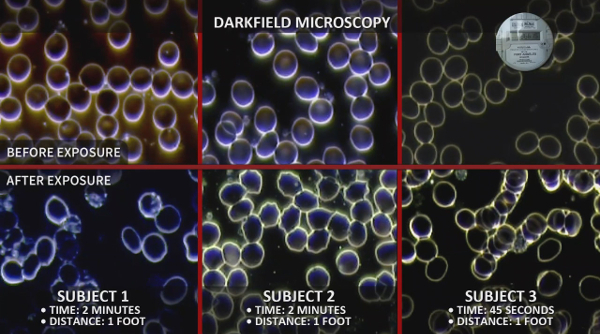 However, it is because of that very potential that it needs to be investigated, discussed and then proliferated. We have noticed that some gate-keeping lawyers and judges will employ intimidation and even ridicule in attempt to dissuade the implementation of a commercial liability process, but then clearly demonstrate fear (or even resign) if they realize they are dealing with someone (or a group) who keeps going forward with it. 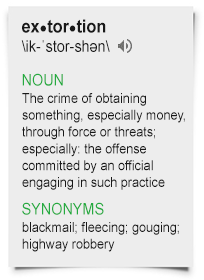 In any case, let's continue to educate ourselves, with discernment pertaining to the game that industrial interests – apparently bereft of conscience – are playing to further their objectives. On the negative side, the level of harm being done in this game is very real. And so, on the positive side, we are seeing increasing signs of humanity rising to take a stand for life. Remember that the answer and the power is within you. Trust the process of it coming forward. I believe that we are being initiated at this time into bridging to a higher level of our being. The people must do nothing to effectively remove their consent. As long as we continue on the path of waking up, following our own conscience and intentionally removing our consent, enough of us will effectively rebut the claim in the upper jurisdictions that “we are going along with it”. Many of you whom are reading these words are responding to the inner call, processing fear, remembering our shared identity and coming together in new and exciting ways. Let’s help others connect the dots.